How many bands do you know that have gone 11 years between their first and second albums? Back in 2007, The 180 Gs released 180 D’Gs to the Future!, their collection of a capella Negativland covers. Though the brains behind the band, David Minnick, has been busy since then with his other projects, fans of the 180 Gs have had to make do with the occasional tease on Soundcloud. But, thankfully, the 180 Gs drought is at an end; earlier this year, they released their sophomore album, Singin’ to God, a cover of Cardiacs‘ double-album, Sing to God. If you’re unfamiliar with Cardiacs, or Sing to God, you’re missing out. The short version is that Cardiacs was the brainchild of Tim Smith, a brilliantly innovative composer and guitarist, who connected with a number of like-minded musicians who brought his work to life. Cardiacs’ music is nearly unclassifiable; in the early days, it was saddled with the genre “pronk,” a mixture of prog rock and punk — but that’s not entirely right. Their sound never stopped evolving, and there were a number of lineup changes over the years, but their records were always, undeniably Cardiacs records. Experimental, full of tempo and key changes, but also amazingly hooky. Many Cardiacs fans consider Sing to God their masterpiece, a double-CD that sees the band stripped down to a quartet: Smith, his brother Jim on bass (as always), Bob Leith on drums and Random Jon Poole on guitar, keys and vocals. (Poole also wrote a few of the songs, a rarity for Cardiacs.) The album is hard to describe; it’s huge and sprawling, with a bit more metal influence. Though the album (and Cardiacs in general) have been compared to Frank Zappa, The Residents and Psychic TV, the best way to find out what Cardiacs are all about is to simply listen. 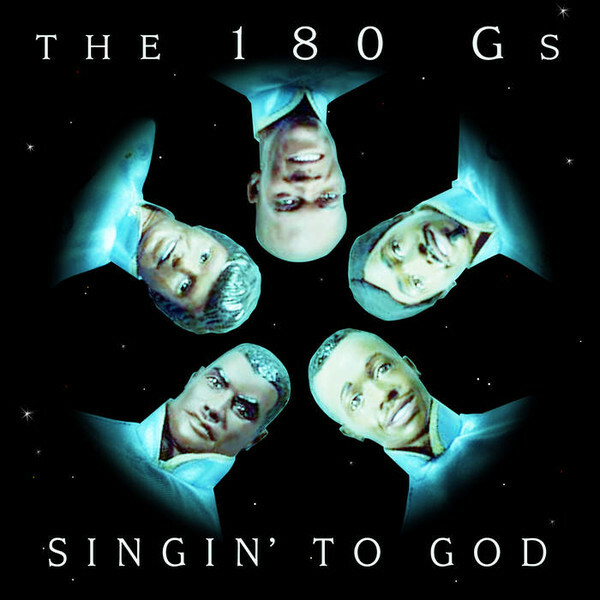 While the 180 Gs’ Singin’ to God is mostly for those who are already fans of Cardiacs, Minnick’s a cappella (mostly — a kazoo is involved on a few tracks) arrangements of Smith’s complex melodies are jawdropping. If you’re familiar with 180 D’Gs to the Future!, you’ll know how the Gs walk the line between traditional covers and dramatically different ones, and Singin’ to God is no exception. Admittedly, Singin’ to God is closer to the source material, but only because many of the Negativland songs covered on the former album required melodies to be added to the collage-based work. Minnick’s arrangements are true to the originals, but with every aspect of Cardiacs’ playing recreated vocally, it’s a tour de force. While every track is lovingly recreated, you can get lost in the arrangements (much like on Sing to God). The album is not just a tribute to a phenomenal band, but a masterpiece in its own right. If you’re a Cardiacs fan, you need Singin’ to God. And if you’re not a Cardiacs fan, you need Sing to God so you can get Singin’ to God. But it’s a testament to both Cardiacs and the 180 Gs that I believe you could find a lot of enjoyment and amazement in Singin’ to God without knowing the original. And one final bit of good news — we won’t have to wait 11 years for the third 180 Gs album; their take on The Residents‘ Commercial Album is coming soon from Klanggalerie.